You can help keep Sherburne County's lakes and streams clean by installing a raingarden. 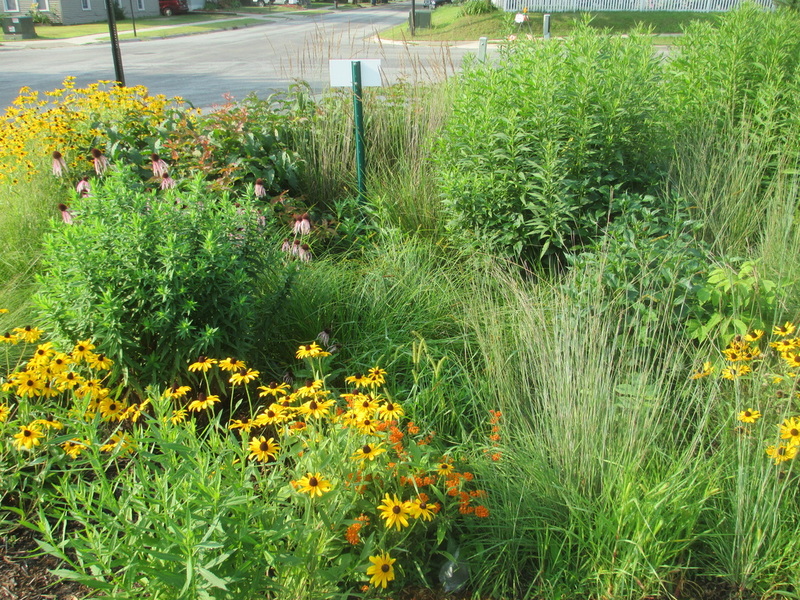 Though it may not seem like much, each rain garden planted in Sherburne County helps reduce the volume of runoff and remove pollutants before they enter local streams, rivers and lakes. These individual gardens, when combined with others, can go a long way toward helping reduce drainage and flooding problems, and keeping our waterways clean. Rain gardens look like any other flower garden, but they are built in a shallow depression that is designed to collect rain water and slowly filter it into the ground over a period of a day or two. 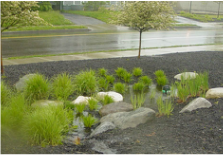 Good locations for rain gardens are areas where rain water collects during a storm, such as below roof downspouts, small grass waterways, or parking lot islands. Butterflies are some of the most beautiful and interesting creatures on Earth. By planting a butterfly garden with all of the right kinds of plants and flowers that butterflies love to feed on and lay eggs on, you will certainly have a yard full of butterflies throughout the growing season. Butterfly gardens can be any size - a window box, part of your landscaped yard, or even a wild untended area on your property. Your garden can also attract moths and hummingbirds if you choose the right flowers. 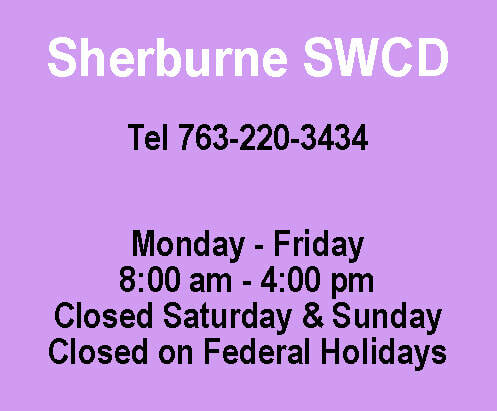 More information on butterfly gardens can be found here. Do you have areas in your yard where grass doesn't want to grow? A native garden may be the solution. 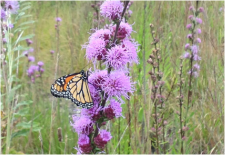 By gardening with native plants, you can bring the beauty of Minnesota into your own landscape while also receiving numerous benefits. You can plant a variety of native plant species or just a few. Then enjoy your beautiful, low-maintenance garden, knowing that you’re saving water, reducing air pollution and providing habitat for birds and butterflies. A rain barrel is a water tank used to collect and store rain water runoff, typically from rooftops via rain gutters. Rain barrels can be used to save water for plants during dry periods. They can also be arranged to slowly release the collected rain fall to areas that can soak up the water, reducing stormwater runoff and increasing groundwater recharge. 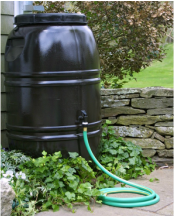 Rain barrels are inexpensive, easy to install and easy to operate and maintain.